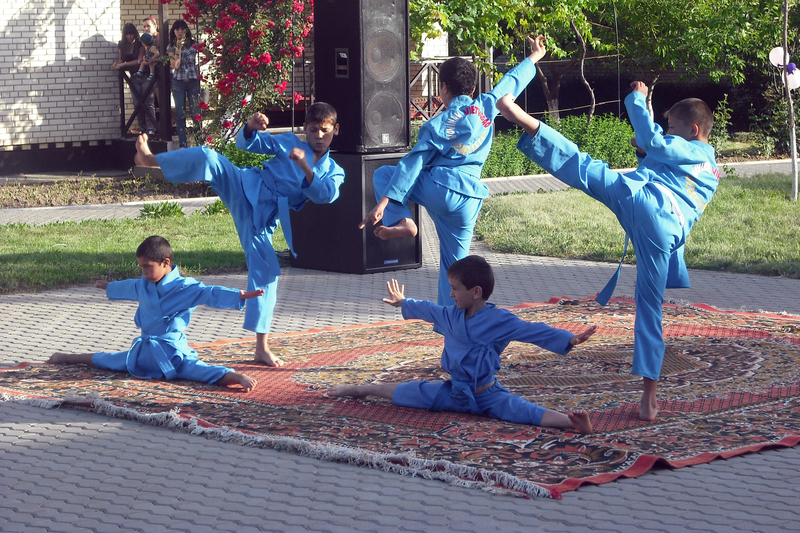 SOS Children's Villages has been supporting families and children in Samarkand since 2006. By providing family strengthening programmes to assist vulnerable families we aim to reach children who are at risk of losing parental care. Samarkand is the second largest city in Uzbekistan and is located 290 kilometres south-west of the capital city of Tashkent. Its location on the Silk Road made it a crossroad and melting pot of world cultures, and in 2001 UNESCO added Samarkand to the World Heritage List. The population of the city is employed in industry and agriculture as well as the exploitation of the natural resources of the area. Remittances from migrant workers abroad form an important part of the country's income. Although children under the age of 15 are officially banned from picking cotton, thousands are forced to do so every year. As the economic situation has changed, the family life of many children has been affected. When parents move abroad to work, children are often left in the care of the extended family that very often does not have the resources to care for them either. For those children living in poverty, home is often a run-down basic shelter which lacks electricity, gas, running water or heating. These children are very vulnerable to exploitation; many do not go to school but instead work on the streets in order to make some money for the family. Children from female-headed households are at a greater risk due to the unfavourable position of women in the labour market. Child trafficking is a concern in Samarkand, as it is one of the main areas in Uzbekistan where trafficked children come from - these children end up being sexually exploited or in forced labour conditions. SOS Children's Villages has had support from the local government since it started working in the area. Aware of the great need in his town, and supportive of the SOS Children's Villages model of family-based care, the mayor of Samarkand donated the land where we are based. Our work in the area remains as crucial today as it was when we first started working here - the vast majority of children who have lost parental care are still placed in state-run institutions. 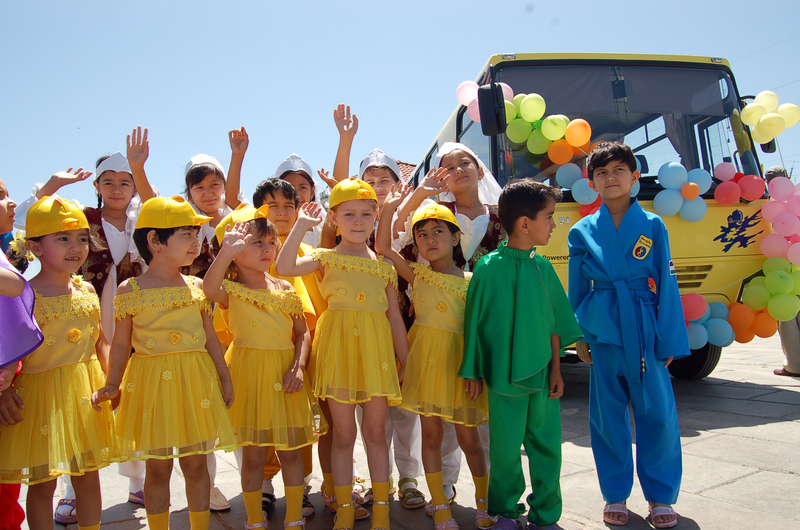 The SOS Children's Village is located in a residential area of Samarkand, near schools, kindergartens, a hospital and shops. Our organisation provides different kinds of assistance to the local population: support to vulnerable families and children in crisis situations, educational support to teachers and children in the area, and loving homes for children who have lost parental care. ecause there is a shortage of teachers with adequate skills, we run an educational programme in the community. We work closely with the local kindergarten and schools to enhance the skills of teachers and we support individual children by offering tuition in areas where they are struggling. Children who can no longer live with their families, can find a loving home in one of the 14 SOS families, where up to 105 children can be cared for. The SOS mothers provide a loving and stable environment where children can flourish. The children attend the local kindergartens, schools and after-school activities such as sports and music lessons - this helps with their integration into the community. When children are ready to leave their SOS families they can move into our special programme for young people, where they continue to be guided by professionals while they attend further education or receive training. The young people also take part in workshops on topics which they will need in their future adult life, such as conflict resolution and communication and social skills.